An exceedingly rare 1918 Chevrolet V8 touring car helps spotlight a 100th anniversary showcase of this venerable American car line at the 3rd Annual Marin Sonoma Concours d’Elegance, May 15, 2011, on the greens and grounds of the Marin Civic Center Fairgrounds in San Rafael, CA. 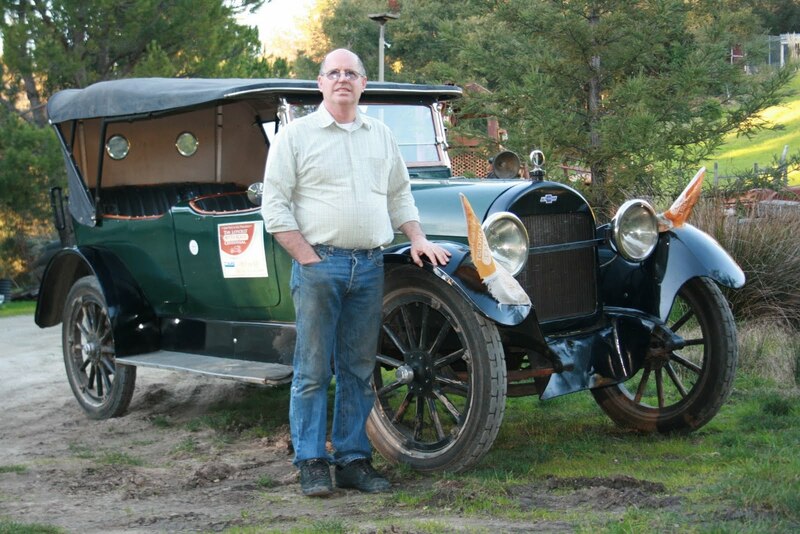 Owned by Chevrolet enthusiast and long-distance vintage car race organizer Luke Rizzuto, 60, of Los Gatos, CA, the green touring coach embodies a significant turning point in development of the famed “bowtie” marque, an everyman’s staple of American motoring history. “This was the first production overhead valve V8,” he notes, ticking off its advanced mechanical attributes. “It had side by side rods, a forged steel counterbalanced crankshaft, first car with helical cut transmission gears and a hypoid rear end.” Beveled hypoid rear gear systems separate drive shaft gearing from direct contact with rear axle gears. The 288 cu. in V8 engine produced 40 hp. Chevrolet did not produce another V8 motor until 1955. Although completed near five years after fabled racer Louis Chevrolet had a bitter falling out with early manufacturing entrepreneur William C. Durant, the car, according to Rizzuto, showed where the two diverged. He purchased the vehicle in late 1990 from the Henry Ford Museum, which had obtained this “milestone car” from its original owner in 1938. An enthusiastic Chevy collector, he already had a V8 “basket case” and a number of vintage Chevrolets, some of which – including a ’58 Impala and ‘28 sport coupe – were destroyed in the 1989 Loma Prieta earthquake. 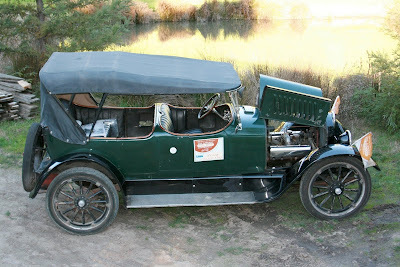 Rizzuto grew up and still lives on the same fruit orchard in the Santa Cruz mountains that his parents moved to in 1950 and it was here his dad put the 9-year-old Luke in charge of the 1 ½-ton Model A orchard truck. “I learned to do brodies in the hills,” he chuckles. 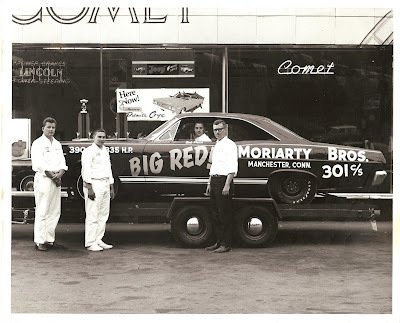 Among his other Chevrolets, he’s owned a Corvair Corsa and drag raced his own high performance Corvettes. He’ll bring the V8 touring model to Flint, MI, this July to celebrate the company’s century mark. In 2008, he ran the touring car in the 100th anniversary of the American leg of the Great Race – and he’s now helping organize a 2013 world’s longest auto race. The Marin Sonoma Concours d’Elegance is a non-profit fundraiser to benefit Hospice By The Bay and will also include “The Drive,” separate motoring event on Saturday, May 14, one to also benefit Hospice By The Bay. 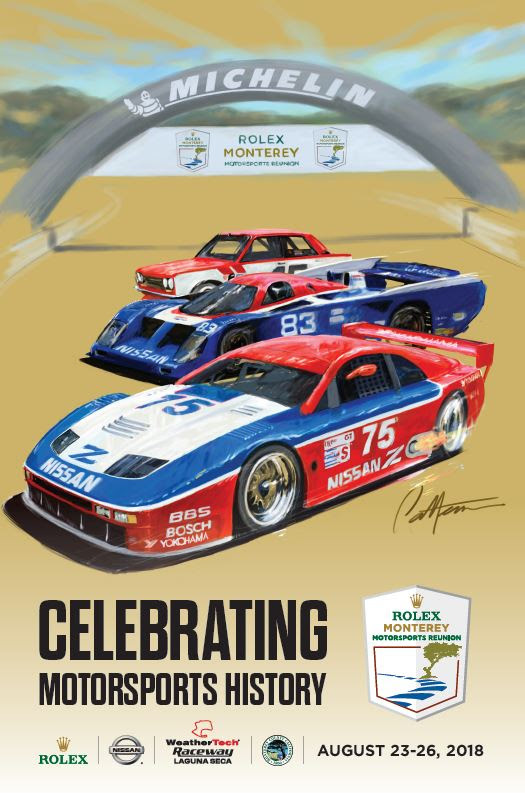 General admission to the Marin Sonoma Concours d’Elegance is $20. For information, phone (415)479-7727 or view the event’s website, www.marinsonomaconcours.org.